On March 16, Frederick Lugard, Governer, laid the foundation stone of the Main Building. The University of Hong Kong incorporated by ordinance. A Lecturer in Physics, Matthewman, T.H.1 was appointed as one of the only 2 full-time member of teaching staff by the University in its first year. Warren, Arthur George2 became the first Head of Department. Florance, David C.H.3 took over the Headship in February. Einstein, Albert visited Hong Kong. The grandchirdren of Florance indicated that Florance had met him and taken photos with him. Sun, Yat Sen visited the University on Feburary 20. Faid, William4 came to be the Professor and Head of Department as Florance's successor. Faid became Dean of Arts for 1 year. The birth of Science Faculty. The Department, then consisted of a Professor, Faid, a Lecturer, Davies, D.F.5, and 3 Demonstrators, Un, Po6, Hui, Pak Mi7 and a new appointee, Yue, Shu Chiu8 joined it. Founding of the Science Society. The Department moved from the west wing of the Main Building to the Northcote Science Building. At the outbreak of fighting, the University became the University Relief Hospital and Faid was its Lay Superintendent. He and his wife were interned in Stanley Camp, where he died, in July 1944, having fractured his skull after falling from a roof. He is still remembered by the "William Faid Memorial Prize in Physics" awarded annually to the student passing at first attempt the Final B.Sc. examination obtaining the best result in Physics. Davies was part of the Royal Navy Volunteer Reserve and so, as a combatant, became a prisoner of war. He escaped, however, from Shamshuipo Prisoner of War Camp and made his way in the company of the Professor of Physiology Lindsay Ride - the first postwar Vice Chancellor - into China and on to India where he spent most of the war. Un, very early, moved into China and was Associate Professor of Civil Engineering in the National Sun Yat Sen University, at the time in exile in northern Guangdong, moving with them to Guangzhou when the War ended in 1945. Hui escaped to Macau, where he stayed, with his family, but without a job, until the end of the war. The University reopened. Davies, Hui and Un returned. The first member of staff to hold a doctorate degree, Cook, E.O.9 came. Davies became the Professor and Head of Department. Davies became the Dean of Science until 1952. Un was appointed as Head of Department in May and Davies was encouraged to leave the University. Hui and Un were promoted to Lecturer, and between them managed the Department for the 2 years that the Chair was vacant. Parsons, R W10 came to be the Chair. The first refereed publication with the departmental byline was a paper in conjunction with Parsons publishing in the Journal of Scientific Instruments. The first graduates receiving a B.Sc. Honours degree in Physics were Chik, Kin Pong11 and Kwan, Sik Hong12. Un died in early 1959. Parsons left and the Department was under the acting headship of Hui. Chesterman, William Deryck13 came to be the Professor and Head of Department in January. 4 students first graduated with the Special Honours degree, 2 of them were Ng, Leung Kai14 and Yu, Miu Robert15. Chesterman became the Dean of Science until 1966. The first Masters degrees for work done in the Department were awarded simultaneously to Ng and Lee, Hinglun Alan16. The first Ph.D. from the Department was awarded to Chan, Yin Lui17. Following Chesterman's departure, Hui was in charge of the Department again, for a period of 6 months until the new Chair, Lyon, Arthur James18, arrived in January. The Department moved from the ground floor and basement of the Northcote Science Building on Pokfulam Road to the first and second floors of the Knowles Building. Faculty-wide reform of the curriculum was mandated. The General and Special degrees were then replaced with the single, so called unit degree, an honours degree spread over three years. First international Physics conference in Hong Kong. Largely sponsored by the Department, it was entitled the "Asian Cosmic Ray Symposium on Secondary Cosmic Rays". Among the 32 participants were delegates from India, Japan, Singapore and Taiwan. Lyon retired in 1977. Walker, George Oulton19 acted as Head of Department until the arrival of the new professor, Newman, Douglas John20 in January.. The 7th International Symposium on Equatorial Aeronomy, attracting over 70 participants from ten countries was organized by the ionospheric group. Reid, M F21 came. Reid was of a new generation, fully at home in the modern 'computer culture' and, aided by the technician Yip Kin Hang, did much to bring the Department into the cyber age. Newman left a year ahead of retirement in 1989. Fung, Peter Chin Wan22 acted as Head of Department during the period between Newman's departure and the appointment of a new chair professor in April, Chau, Wai Yin23. Cheng, Kwong Sang received the National Natural Science Award. The Department moved from the Knowles Building to a new purposely built Physics building, the Chong Yuet Ming Physics Building - although for several years some floors had to be shared with Earth Sciences and Zoology. Chau retured to Canada in 1992. Fung, Peter took over as Head until a new Chair, Tong, David Suk Yin was appointed. Wang, Zi Dan received the National Natural Science Award. The "Surface Science: Critical Review and Outlook" conference was held here in June. The 21st Century Chinese Astronomy Conference was held here in August. The much coveted Doctor of Science degree has been conferred by the University of Oxford on Fung, Steve. Tong, David received the Croucher Senior Research Fellowship of 1997/1998. 1999 Pacific Rim Conference on Stellar Astrophysics was held here in August. A visit by Prof. Daniel Chee Tsui (1998 Nobel Laureate in Physics) in December. Wang, Jian was a co-winner of the 1999 Achievement in Asia Award (AAA) of the Overseas Chinese Physics Association. Cheng, K.S. received the Croucher Senior Research Fellowship of 2000/2001. A public talk delivered by Sir Roger Penrose in April. The 26th IUVSTA Workshop on Surface Holography and Other Direct Methods was held here in August. Cheng, K.S. became the Head of Department. Cheng, K.S. received the Outstanding Researcher Award of the University of Hong Kong. Chau, Hoi Fung received the Outstanding Young Researcher Award of the University of Hong Kong. Our student group winned the third class prize in The 7th Challenge Cup Competition, Xian, China (2001). Tong, David was elected as Member of Chinese Academy of Sciences and Fellow of the American Physical Society. The Second Vacuum & Surface Sciences Conference of Asia and Australia was held here in August. The Workshop of the Theoretical Astrophysics Consortium was held here in December. Wang, Z.D. received the Outstanding Researcher Award of the University of Hong Kong. We sponsored The 8th Annual Conference of the Physical Society of Hong Kong and it was held here in June. The first formal workshop on Particle Physics in Hong Kong was held here in November. The Second Workshop on the Nature of the High-Energy UnidS: The Multiwavelength Approach To Unidentified Gamma-ray Sources was held here in June. In the same month, together with the Hong Kong University of Science & Technology, we jointly organized the 2nd Asia-Pacific Physics Workshop - Frontier in Condensed Matter Physics. Zhang, Fu Chun becomes the Head of Department. Croucher Advanced Study Institute on Science & Applications of Spin Electronics Workshop was held here in August. Students are invited to meet the 1985 Nobel Laureate, Prof. Klaus von Klitzing on August 19. Miniworkshop on Strongly Correlated Electron Systems was held here in November. Zhang, F.C. received the Distinguished Research Achievement Award of the University of Hong Kong. Djurisic, A.B. received the Outstanding Young Research Awards of the University of Hong Kong. Mini-Course: Introduction to Quantum Many-body Theory - from the origin of phonons to an origin of photons --by Prof. X.G. Wen (MIT) jointly organized by HKU, HKUST and PSHK was held in January. The Miniworkshop on Quantum Phase Transition and Spintronics by Prof. X.G. Wen (MIT) jointly organized by HKU, HKUST and PSHK was held here in July. Cheng, K.S. was elected as a Fellow of the American Physical Society (Division of Astrophysics). International Workshop on Computational Methods for Nanoscale Systems was held here in December. Hong Kong Forum of Physics: Frontiers in Condensed Matter jointly organized by HKU and HKUST was held here in December. Wang, Z.D.. received the Croucher Senior Research Fellowship of 2007. The Daya Bay Collaboration Meeting was held here in January. IAU Symposium was held in February. Overseas Chinese Physics Association (OCPA) Workshop on Underground Science was held in July. Hong Kong Forum of Physics 2008 - Quantum Matters and Quantum Simulations was held in December. Zhang, F.C., as the project coordinator, was awarded with the Area of Excellence Project funded by the UGC. Wang, J. received Croucher Senior Research Fellowship 2009 and Outstanding Researcher Awards of the University of Hong Kong. Zhang, F.C.. chaired 2009 Gordon Research Conference on Superconductivity held in June 2009 in HKUST. A workshop titled “Novel Topological States in Condensed Matter Physics” was held in June. Student Workshop entitled "Monte Carlo Methods -- An Introduction" (9-10 July, 2009) was held in July. The 3rd International Workshop on Solid-State Quantum Computing & the Hong Kong Forum on Quantum Control was held in December. Shen, S.Q. received Croucher Senior Research Fellowship 2010. Cui X.D. received the Outstanding Young Research Awards of the University of Hong Kong. A mini-workshop on "Gamma-ray Sky from Fermi: Neutron Stars and their Environment" was held in June, 2010. Workshop on Simulation and Modelling of Emerging Electronics 2010 was held in December, 2010. Hong Kong Forum of Physics 2010: Novel Quantum States and Methods was held in December, 2010. 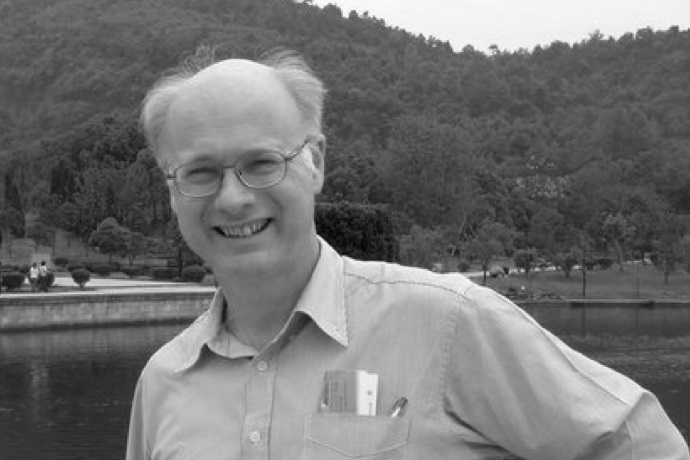 In Memoriam: Prof. Christopher Beling (1955-2010), valued colleague and friend of the Physics Department of HKU. He made many great contributions to the department and helped it move forward in numerous ways. His work here will not soon be forgotten. Zhang, F.C. was being chosen as the incumbent of the Zhou Guang-Zhao Professorship in Natural Sciences. Prof. P.K. MacKeown's book, "Early China Coast Meteorology: The Role of Hong Kong" has been chosen by the Atmospheric Science Librarians International (ASLI) as "2011 ASLI Choice" - History award for its account of the scientists and science that comprise the history and accomplishments of the Hong Kong Observatory.